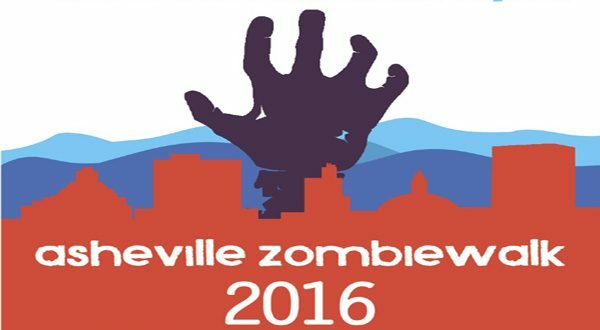 It’s time once again for the 11th Annual Asheville Zombie Walk. And this year, zombies will walk the streets of our city. 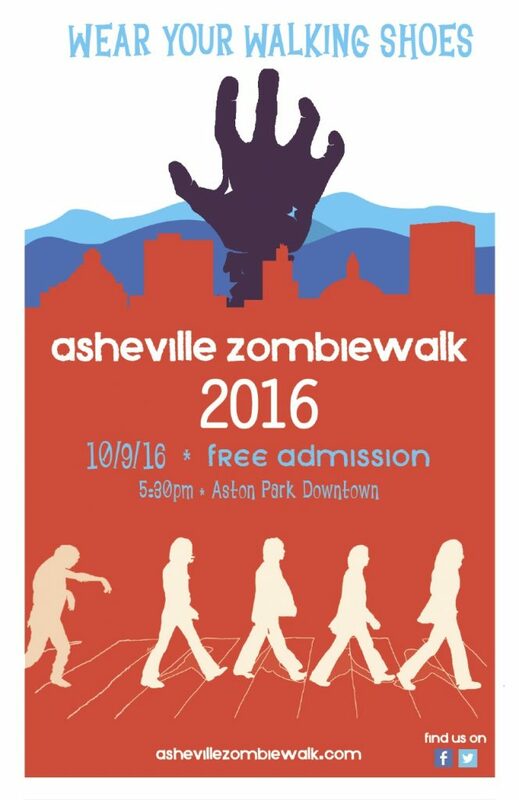 On Sunday, October 9 at 5:30pm, Asheville’s zombies will shamble to Aston Park, at the corner of Hilliard and S French Broad Avenues. Before dusk, the zombies will be broken into teams and head toward downtown via a few routes. We only ask participants to obey the laws and be peaceful. With recent events within our city, we want the zombie walk to be a shining example of how cool our city is. Just don’t come to be deplorable. After zombies reach the endpoint of the walk, they are then free to roam, patronize local eateries or breweries, or play. We encourage all zombies who can to join us for the after party at Byrish Haus & Pub (formerly Patton Public House), 1341 Patton Avenue, from 7:00–11:00pm. They will have food, live Halloween music, fun games, a costume contest, and more on their large, fenced back patio. Bring towels for picnic-type event seating and come in costume for a chance to win valuable prizes! The Asheville Zombiewalk is committed to remaining fun for the whole family. And it’s always free. We look forward to seeing a great group of zombies of all ages. Everyone is invited to make yourself look rotten and bring your fellow horde. And finally, we need you! If you would like to volunteer as a zombie crossing guard, fill out our volunteer form or contact us at ashevillezombie@gmail.com to join the Shuffle Patrol. There will be a crew after-party for all volunteers! Visit the Asheville Zombiewalk’s website at ashevillezombiewalk.com for event details or follow us on Facebook at facebook.com/Ashevillezombiewalk.